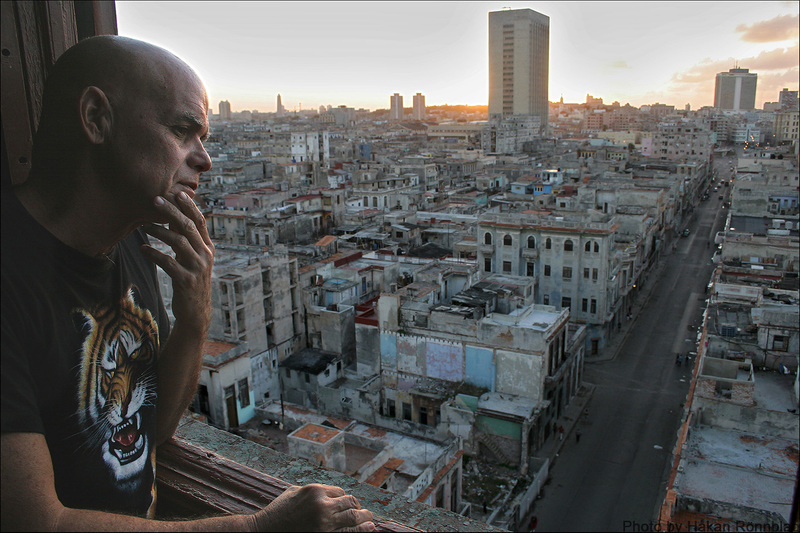 The author Pedro Juan Gutiérrez looking out from his apartment over Centro Habana. The story in his book Dirty Havana trilogy, takes place around this very building and the surrounding quarters of the city. This entry was posted in Cuba, photography and tagged Cayo Hueso, Centro Habana, Cuba, Havana, Håkan Rönnblad, Kuba bilder, La Habana, Pedro Juan Gutiérrez, Trilogia sucia de La Habana. Bookmark the permalink.